A federal district court in Chicago recently granted summary judgment in favor of an employer on a forfeiture-for-competition claim against a Senior Vice-President in the trade show design business. Typically, forfeiture-for-competition clauses are not viewed with the same degree of skepticism and scrutiny as garden-variety non-compete restrictions. Though the effect may be deter someone from jumping ship, courts have noted that the problem of depriving someone of his or her livelihood is absent in a forfeiture case. Still, courts struggle. Some jurisdictions - a minority, to be sure - will examine forfeiture clauses under the same analytical rubric as non-compete clauses. Others clearly do not. 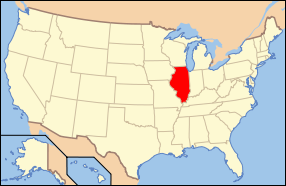 Illinois has a mixed bag of cases from which to glean guiding principles. Judge Dow in Viad Corp. v. Houghton examined a forfeiture provision in a management incentive plan. That plan contained a clause that required repayment of incentive income (called "special compensation") received within the year prior to departure if the employee quit to compete. The court, though stating it did not believe a non-compete analysis applied at all, was nonetheless careful and held the clause reasonable under the admitted facts. Of particular importance was the fact that the special compensation was designed to incent a participant's future performance with the company, was not part of "regular wages", and was an entirely voluntary election. The court did not discuss the recent Kelly Bires case, which looked at a forfeiture provision in a royalty agreement. The court in Bires was likely persuaded by the lengthy forfeiture term - 10 years. For employers, forfeiture-for-competition provisions are gaining in popularity, due in large part to their ease of enforcement and the fact they can achieve the same goals as a non-compete. Covenants tied to incentive-based income (e.g., stock options) are presumptively reasonable, and courts only will examine whether the employee's post-termination activities fell within the competition provision and whether the employer properly exercised a clawback or forfeiture decision. One other point is worth noting for practitioners and clients alike. If the forfeiture concerns regularly earned income (such as commissions), not only is a court much more likely to examine the clause under a traditional non-compete test, but also it could be void under state wage payment laws.